Much is said in the media regarding Legal Aid. In relation to criminal matters for instance interviews at a police station or attending the magistrates or Crown Court, we can often secure Legal Aid and often only require your National Insurance number. If you're requested to go to the police station you are still entitled to have a solicitor of your choice FREE OF CHARGE. 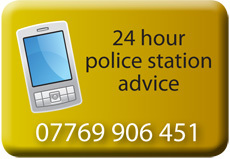 If you have been to the police station unrepresented and bailed to go back to the Police station contact us. If you were charged with an offence or you receive a summons or postal requisition to go to court then please contact us IMMEDIATELY on any of the above numbers. You will be given an appointment so that we can attempt to secure Legal Aid before the date of the Court hearing. Please note that if you attend Court without a solicitor the courts are reluctant to adjourn and you will be expected to proceed with the case. The earlier we get involved the more proactive we can be. IT DOESN�T COST YOU ANYTHING TO GIVE US A RING. More detailed information about Legal Aid is detailed below. All advocates in the court system are independent of the state and are a part of some independent business. This ensures that your representative is independent of the state which is bringing the prosecution against you. The question therefore arises as to how they will be paid. The provision of a solicitor at the police station is always covered by legal aid regardless of a person�s financial means. Legal aid in the courts is by way of a representation order. The systems for legal aid on the magistrates court is slightly different to that in the crown court. Both systems have a two part test one being the nature of the case the second part is financial eligibility. In the magistrates if you income is above a certain level that is an absolute bar to legal aid. In the crown court if your income is above a certain level then you may have to pay a contribution. The calculation is quite involved and we will discuss this with you. We are making applications for representation orders every day and can advise if you are financially eligible. Contact us to assess your circumstances. The first stage is the seriousness of the offence. The Legal Aid Agency LAA now deal with all applications for legal aid in the criminal courts. The applicant has to show the court that it is in the interest of justice that a representation order is granted. This is decided on the seriousness of the allegation and the effect on the applicant. As an example if the effect would be likely to be a prison sentence if found guilty then that would be a reason to grant legal aid, this may be because of the seriousness of the charge or the effect of other factors such as your record of previous convictions. If you are someone with no previous convictions and a conviction would lead to a loss of your good character then that may mean legal aid would be granted. We will advise you on completing the application to the court. The representation you get will be no different to that which you would get if you were paying privately. The same solicitors do both legal aid and privately funded work, as do the barristers we would brief on your behalf. For some cases, even cases where the result may impact severely on the applicant, such as Drink Driving, the court are unlikely to grant a representation order, regardless of means. This may change in cases where the alcohol level is very high, but if your job depends on having a driving licence even a low reading can spell disaster. If you have been charged with a road traffic offence, legal aid is unlikely to be available. The means testing of legal aid in the Magistrates court means that some fairly serious charges will not be covered by legal aid. In these cases we can advise of the likely cost of representation. We will also keep you updated of how much the case will cost as it progresses through the system. Many cases can be concluded in one hearing so the quantification of cost is straight forward. The charge may be relevant to how complex the case will be. Some fraud cases can be very complex even where the value is low. Most motoring cases are straight forward, however some can be complex. We will consider the case and discuss this with you when we have seen the prosecution case which we will obtain from the CPS. You may accept that you are guilty of the offence and want us to minimise the damage by mitigating your case. Alternatively there may be a defence that involves research and the interview of witnesses. Whatever the scenario we will only undertake work on your case after we have discussed it with you. This is the major factor in determining the cost of a defence. It would be misleading to say that the complexity can always be assessed at the outset. During the case matters may arise that will effect how the case is prepared. We will discuss with you the importance of such things to the case as a whole and say how much that particular item will cost to resolve. The overall principle is that it is your case and you should retain control of every aspect of it especially the cost. Follow this link to read information on classification of cases and how this affects which court you will be in.